The European Parliament condemned Warsaw’s actions against the country’s Constitutional Court. The government’s “effective paralysis” of the top court is a menace to the country’s democratic order, it said. European Parliament lawmakers adopted a resolution on Wednesday, saying they were "seriously concerned that the effective paralysis of the Constitutional Tribunal in Poland poses a danger to democracy, human rights and the rule of law." The document was passed by a 513-142 vote with 30 abstentions in Strasbourg, France. 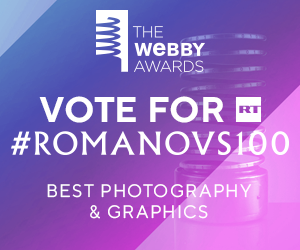 Although non-binding, the resolution could result in the EU taking further measures, which might go as far as suspending Poland’s voting rights in the bloc. The resolution comes as the conservative Law and Justice (PiS) party, which came to office in the fall of 2015, has been taking steps to overhaul the Constitutional Court. The party issued legislation in December modifying the way cases are heard in the court. The new law also increased the number of judges required to make Constitutional Tribunal rulings. Previously a simple majority of the country’s 15-judge top court was needed to validate a ruling. Now, a two-thirds majority is required. The Constitutional Court ruled the law illegal, and the government, in response, rejected the court’s ruling, refusing to officially publish it. The law “prevents the honest and proper functioning of the ... Constitutional Court, by interfering in its independence and separation from other powers, thus violating the principles of the rule of law,” he said. Warsaw slammed the European Parliament for misrepresenting the situation in the country and siding with the opposition. "Perhaps for the first time we're dealing with a situation when because of (Polish) opposition politicians' denunciations, the European Parliament has passed a legal act aimed against Poles, our nation," Polish government spokesman Rafal Bochenek told the PAP state news agency. Opposition representatives, in turn, said the vote on the resolution indicated Poland has been moving in the wrong direction. 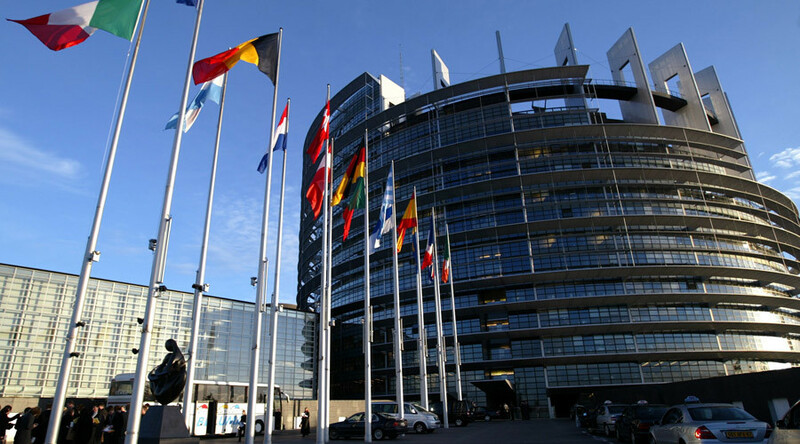 The European Parliament strongly advised Poland to reconsider the resolution and unblock the newly proposed legislation. Should Poland fail to do that, further measures would be taken, it stressed. In January, the European Commission launched a preliminary procedure designed to determine if there were any breaches on democracy in Poland. The investigation was said to have focused on the country’s media and the Constitutional Court laws adopted at the beginning of the year. Frans Timmermans, the Commission's first vice president and one of several European officials in Warsaw, was upbeat about the situation. He stressed it wasn’t necessary to look too far ahead due to the need for dialogue without the European Commission having to take any further steps. "The starting point of the dialogue should be full respect for the rulings of the Constitutional Tribunal - rulings that in my view should be published and implemented," Timmermans said, as cited by Reuters. 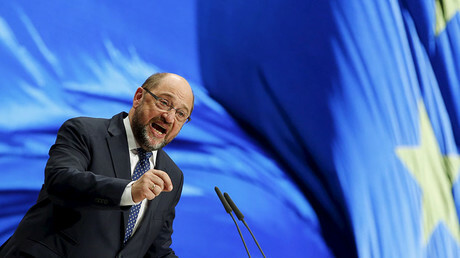 “The Polish government considers its election victory a mandate to subordinate the interests of the state to the interests of the winning party,” Schulz told the Frankfurter Allgemeine Zeitung. “That’s democracy carried out in the style of [Russian leader Vladimir] Putin and a dangerous Putinization of European politics,” he added. In December, Schulz even went as far as saying the political developments under the Law and Justice party are akin to a "coup d'etat." His comments have sparked numerous angry reactions in Warsaw. Prime Minister Beata Szydlo demanded an apology from the European Parliament chief, saying Schulz's comments were "unacceptable." Foreign Minister Witold Waszczykowski called the coup remark "unfounded and therefore irresponsible," according to AP. The Polish justice minister scolded the EU for daring to interfere in the country’s affairs. “In the future, please have more restraint in instructing and reprimanding the parliament and the government of a sovereign, democratic country,” Polish Justice Minister Zbigniew Ziobro said. Demonstrators have staged a number of protests against the government. 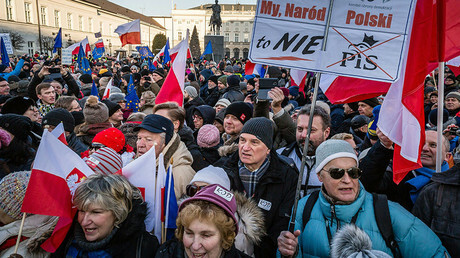 One of the biggest took place on March 13, with over 50,000 people rallying near the Constitutional Court building in the Polish capital. They were protesting legislation introduced by the Law and Justice party.